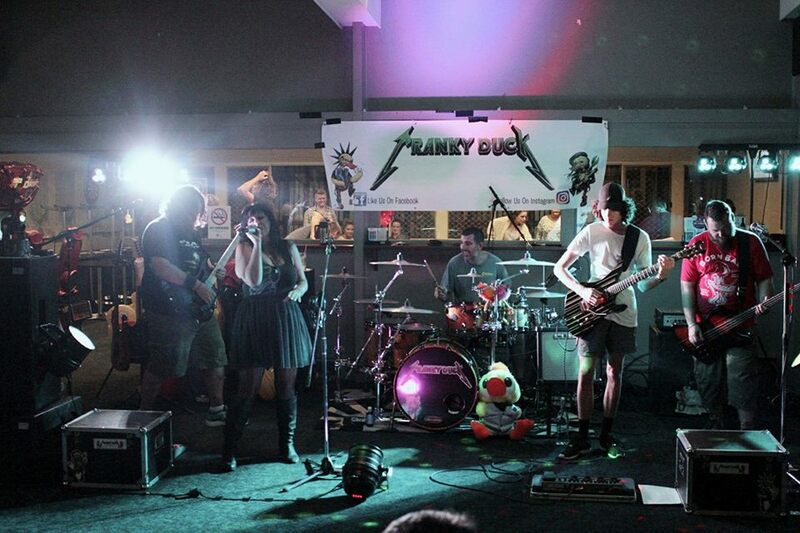 Since forming in early 2016, Cranky Duck have quickly become known for their energy and enthusiasm towards their performances, both on and off the stage. Cranky Duck boasts two lead/rhythm guitarists, Tim “Dirty” Hunt and Ethan “Shredder” Tullipan, who both will equally melt your face off with their solos. The low end groove and funk comes from Jason “Beefy” Brooks, formerly of @The Bar, on Bass, and the man that keeps them all on time is Shannon “Animal” Tullipan, formerly of From The Gekko, on Drums. Powerhouse Vocals and cheeky stage antics come courtesy of Briony Boyd, formerly of Midlife Crisis.